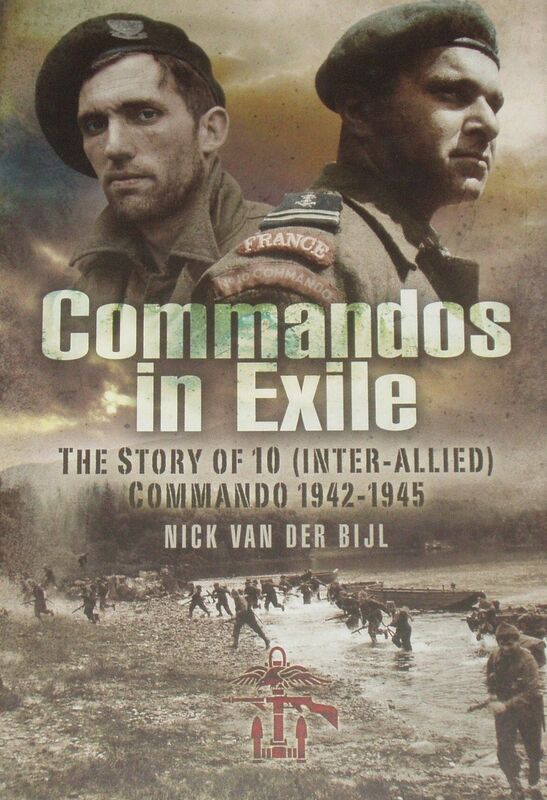 From the front inside fly leaf: Formed from members of Free Forces who had escaped from German occupation, 10 (Inter-Allied) Commando was one of the most unusual units in WW2. All members had to pass the Green Beret commando course at Achnacarry in Scotland and the book begins by describing this training. With no less than six national troops, plus X Troop drawn from exiled Jews, 10 Commando never fought as an entity but loaned troops for specific operations, such as One Troop (French) taking part in the Dieppe Raid, 2 Troop (Dutch) fighting at Arnhem, 5 Troop (Norwegian) raiding the Lofoten Islands etc. At other times groups played a key intelligence role questioning POWs, translating captured documents, conducting reconnaissance patrols and intelligence gathering on the D-Day beaches.